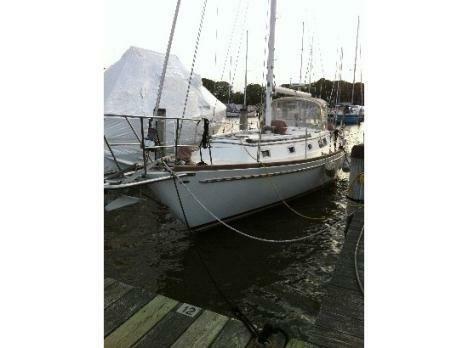 Up for sale is Serenity - A very nice clean pocket cruiser for sale in Delaware, Ohio. This boat will sleep 4 people comfortably and has many of the same features as a big cruiser, but with the ability to trailer! Sellers are MOTIVATED - Boat must go!!! Sellers do not want to winterize this boat. *** Recent work Performed ***New Inline fuel filterNew Water Fuel Separating filterNew Cap/RotorNew Spark PlugsNew ThermostatNew Low Pressure and High Pressure Fuel Pumps New High Pressure Fuel RegulatorInterior Features:Comfortable seating for 8Sleeping arrangements for 4 people (V-berth and queen sized aft cabin)Wet head (Brand new faucet with pull out installed in 2016)Jabsco Manual toiletAC/DC RefrigeratorAlcohol/Electric StoveMicrowaveStainless steel sink (New faucet installed in 2014)Kenwood Radio installed brand new in 2016 with Bluetooth functionalityExterior FeaturesCockpit seating for 8Electric operated hatch to engine compartmentDouble wide helm seatGarmin 188C sounder and GPS with Lake Erie chipWalkthrough windshield out to the bow with integrated stepsBimini top Bimini surround with isinglassCockpit wet bar (New faucet installed 2016)Cockpit table25qt cooler (not shown but included)Snap-in carpetMechanical/Other FeaturesPowered by a Mercruiser MAG 350 MPI (New impeller and drive alignment completed 2016 )Bravo III outdrive with stainless steel counter-rotating propsWindlass with controls at the helm (2nd anchor for emergencies is included)Dual batteries with switchVHF Radio with external speakerDockside electricDockside water 26 gallon holding tank for head33 gallon freshwater tank75 gallon Fuel tankSerenity comes with a 2010 Venture (VATB-7950G) tandem axel trailer that is in excellent condition. Trailer has a Titan Model 10 brake actuator.Serenity comes with all safety equipment necessary for inland boating or taking on Lake Erie. New safety flares purchased in 2016, and life jackets are on board. 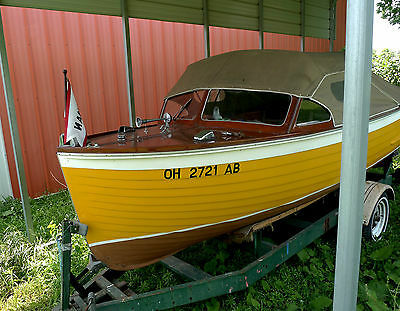 UP FOR AUCTION IS A 1952 18' LYMAN ISLANDER BOAT. HULL #2076A . LYMAN BUILT APPROXIMATELY 2000 OF THESE BOAT FROM 1948 THRU 1960. THE INTERIOR IS BPANISH CEDAR SEATS. THE BOAT UNDERWENT AN EXTENSIVE RESTORATION IN 2007. THERE IS NO ROT IN THIS BOAT. THE INTERIOR FLOOR AND BOTTOM WAS PAINTED WITH LYMAN SANDTAN PAINT WHICH IS CORRECT. EVERYTHING ON THE BOAT IS ORIGINAL. THE MOTOR IS A 4 CYLLINDER FLAT HEAT . BOAT COMES WITH A CRADLE TRAILER. THE BOTTOM WAS PAINTED WITH COPPER ANTI - FAULING PAINT. THE BOAT CAN BE VIEWED AT HETZNER MARINE IN PROSPECT OHIO. FOR MORE INFORMATION MY NUMBER IS 740-816-4910. BUYER SHOULD INSPECT THE BOAT OR HAVE A THIRD PARTY INSPECT THIS BOAT BEFORE PURCHASING. IF INTERESTED SELLER WILL NEED TO PAY A $500.00 NON RE-FUNDABLE DEPOSIT. 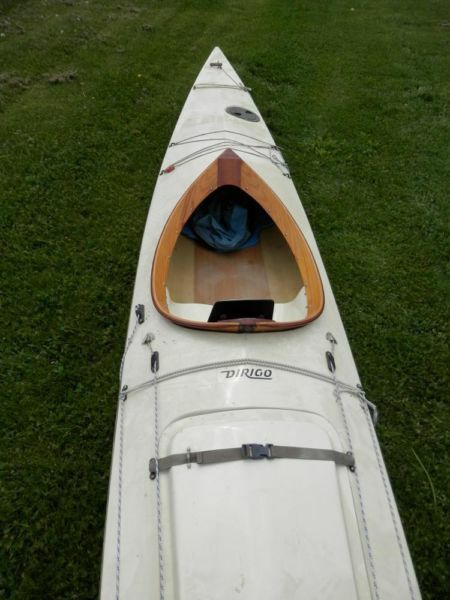 Dirigo Kayak in excellent condition. It is very sleek and glides beautifully in both lake and ocean waters. It is known for its exceptional stability. It was made by Dirigo Boat Works in Blue Hill, Maine. The kayak is a classic with hand-laid fiberglass and wood cockpit trim. It is 17-feet long with a 27-inch beam. There are 2 storage compartments and a rudder system. A toggle is attached at the bow and stern for carrying. Price includes two paddles and a spray skirt. Cost= $725.000. Please contact 614-557-3939 if you have any questions. Thank you! 1979 Thompson 17.5" OpenBow, Mercruiser 120. Seats 10 (6 in main area, with 4 up front). Includes life jackets, tubes, ropes, and others. Boat had the lower end of the engine completely rebuilt (all service history included) two years ago, and has not been run since due to family commitments. Includes Trailer. We are also selling our 2005 GMC Yukon XL SLT (pictured, but NOT included in this auction). If you are interested in both, feel free to make us an offer for each. Thanks for looking and feel free to click here to look at some of the other items I have up for auction. Happy Bidding! Pay me securely with any major credit card through PayPal! 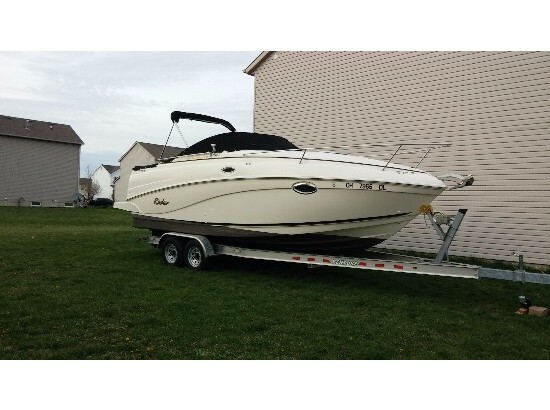 Please call boat owner Rick at Home Phone: 740-917-5329 or 614-537-9712. Blue Metal Flake. Engine less than 100hr running. Picking deck extesion. 24 volt trolling motor. RodReels and tackel included.